Plate Therapy is changing the way busy people eat healthy. Inspired by the healing powers of whole foods, this is more than a meal delivery service. It's a life changer. Plate Therapy was founded on the principle of helping others achieve a healthy lifestyle. Our founder Danielle McPartlin works tirelessly at keeping that personal touch as part of our business model. Feel free to reach out to Danielle@PlateTherapy.com for any questions or free advice. 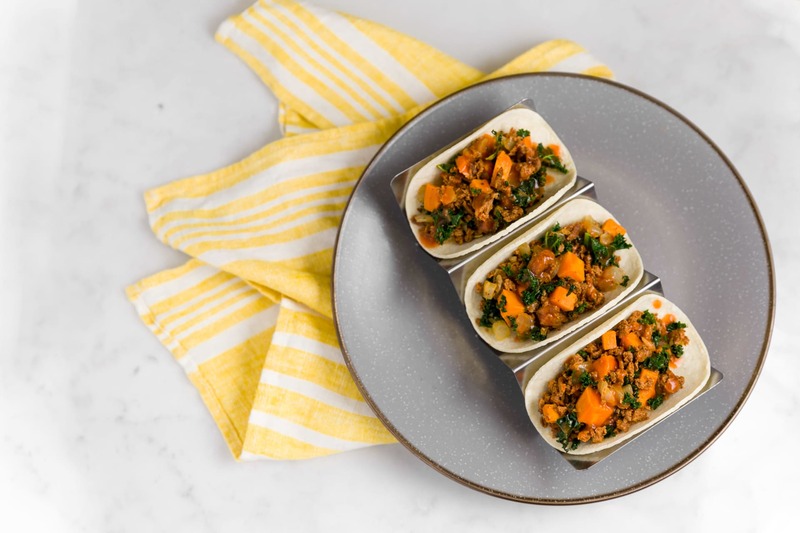 Plate Therapy is a chef-crafted meal-delivery company that uses only responsibly-sourced, premium ingredients. Meals are prepared fresh and orders placed on Sunday are available for delivery or free pick-up at our kitchen the following Wednesday. Orders placed Wednesday are available Sunday for delivery or free pick-up. If I want to pick-up my order, where are you located? Our kitchen is conveniently located at 26306 Ferry Ct., Santa Clarita, CA 91350. I’m following a special diet, does Plate Therapy meet my needs? Plate Therapy specializes in nutritionally balanced meals that harness the power of whole foods to promote a healthy lifestyle. We feature Paleo and Pescatarian options and all meals are free of dairy, gluten, soy and refined sugars. Does the menu always stay the same? No. We rotate the menu choices on a monthly basis to create variation while incorporating seasonal ingredients. Can I make modifications to the meals? Due to our production schedule, we can’t make individual modifications to the meals. Is Plate Therapy a diet? Plate Therapy promotes a healthy, balanced lifestyle. We offer guidelines to help you achieve your fitness goals but always check with your doctor and/or nutritionist before changing your diet. Which meals should I eat first? To ensure optimal freshness, we recommend eating fish and salad meals at the beginning of the week. How does Plate Therapy Work? 1. Click the ORDER NOW button on the top of your screen. Choose your meals each week from our monthly-rotating menu. 2. If you select the “delivery” option, you will be notified with the approximate window of time your meals will be delivered to your door in insulated bags with cold packs to keep the food fresh until you get home. 3. Heat, eat and savor! Oven is ideal for warming your Plate Therapy selection, but the microwave will also work! View more about our process here! I missed placing my order and want Plate Therapy. Are there other options? You're in luck! We have Grab 'n Go locations around Santa Clarita. Simply stop by and choose from our curated meal options. Are Plate Therapy meals fresh or frozen? All meals are freshly prepared by our Plate Therapy team in our gourmet commercial kitchen in Santa Clarita, California. Plate Therapy meals always arrive to your door fresh – never frozen! Salad selections should be eaten fresh, never frozen. Cooked meals can be frozen for your convenience – but remember, fresh is always best! Where does Plate Therapy deliver? We are located in Santa Clarita and currently deliver to select areas around Santa Clarita Valley and Manhattan Beach. Please contact Danielle@PlateTherapy.com to find out more. Does Plate Therapy deliver to my area? Please contact Danielle@PlateTherapy.com to find out. Our fabulous Plate Therapy delivery team is a collection of super-knowledgeable folks who know all about the food you’re about to enjoy! They can help load up your refrigerator and answer any questions. Do I have to be home when my meals arrive? We know you’re busy – that’s why we’ll contact you with a delivery window for your drop off. If you’re not home, we’ll leave your meals on your doorstep in a keep-it-cool bag that will safely maintain the proper temperature up to four hours. What should I do with the Plate Therapy bag & gel packs? Please leave your delivery bag on your doorstep during the next delivery. Plate Therapy bags that aren't returned will require $10 fee. If you don't plan to reorder in the near future, contact us and we'll arrange to pick up the bags. Gel Packs, we do not need back. PLEASE RECYCLE GEL PACKS! Cut the end of the gel pack and dispose of the non-toxic biodegradable gel. Plastic pack is recyclable. We offer 2 delivery/ pick up days Sunday and Wednesday so you can have fresh food all week! The meals come with a "sell by" or "best by" date for optimal freshness. All meals store perfectly in the refrigerator and we strongly recommend to eat salad and fish selections in the first 2-3 days. If you decide to freeze any of your selections, we recommend that you consume within one month of freeze date. Is there a minimum order & delivery charge? There's no minimum order, delivery charge for Santa Clarita is $10. Delivery fees for other areas vary, please contact Danielle@PlateTherapy.com to find out more. Is there tax & do I tip the delivery driver? No tax. No tipping. No worries! Does Plate Therapy offer nutritional consulting?